viaLibri ~ Essays upon several Moral Subjects. In Two Parts. 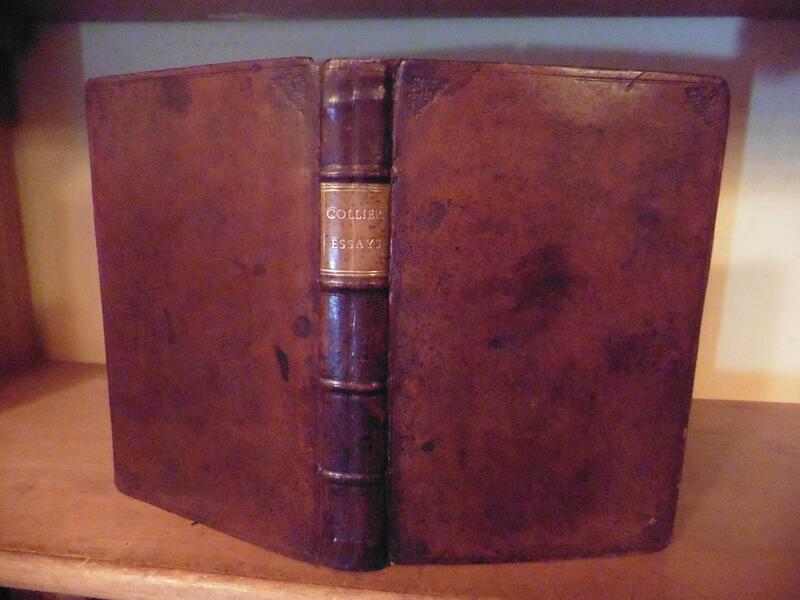 Daniel Brown London Sixth Edition 1709 - Small octavo, 246p + 200p. Two parts, complete, each with separate title page. Contemporary full blind ruled calf, the spine with raised bands, plain compartments, later but nicely done lettering piece. Light wear head of spine. A VG copy indeed. Contains a 32p essay "Of duelling".